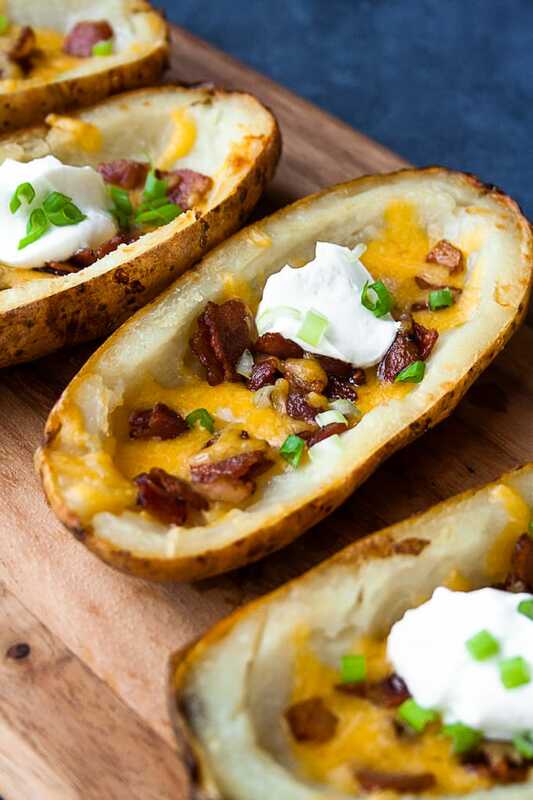 Baked potato skins are the perfect way to turn baked potatoes into finger food or repurpose leftover baked potatoes. There are so many types of potatoes and ways to cook them that they are practically their own food group – mashed potatoes, baked potatoes, Hasselback potatoes, hashbrowns… the list goes on! And given so many cooking methods, it’s hard to master each and every one. 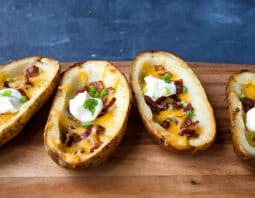 Lucky for you, we’ve shared how you can make the perfect potato for almost every occasion, and now I’ve perfected the baked potato skin to add to your list. 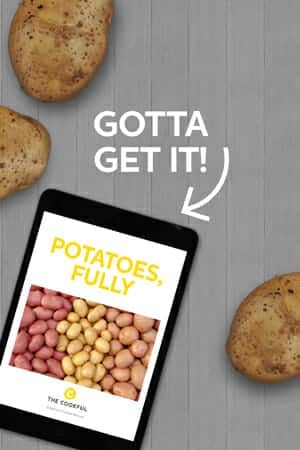 Let’s start with the potato itself; russet potatoes are the ideal spud to use – they are strong, have thick skins and don’t have an overpowering flavor so the toppings can really shine through. After the potato, the crispiness of the skins is key. There are a few steps to getting them just right – rubbing the entire potato in olive oil before baking and then brushing the insides and outsides with butter during the second bake ensures just the right amount of crispiness. I recommend using a silicone basting brush like this one. But even if we have the right potato and the ideal crisp, baked potato skins are nothing without toppings. Make sure you load them up with your favorite cheese, bacon, sour cream and green onions. Resist giving them a sample before you serve because the plate might be empty by the time it hits the table. They’re that good. Scrub potatoes clean, dry and poke with a fork. Rub potatoes with olive oil and place on a baking sheet; bake until tender, about 60-70 minutes. 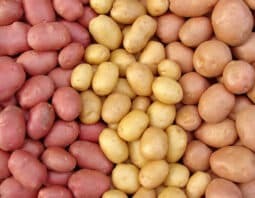 Once the potatoes are able to be handled, cut in half lengthwise and scoop out the insides, leaving about 1/4 inch of potato in the skin. Melt the butter and brush the insides and outsides of the skins. Place them back on the baking sheet and bake for 8 more minutes. Turn the skins over and bake for another 5 minutes. As the skins are crisping, fry the bacon and crumble. Remove skins from the oven. Divide cheddar cheese and bacon evenly between skins. Place back in the oven and cook until cheese melts, about 3 minutes. Top with sliced green onions and sour cream.